The Paco Rabanne Lady Million Eau de Parfum is a scent which I always spritz when I’m near a fragrance counter but for some strange reason, I’ve never gone ahead and purchased it even though I loved it. I finally decided to buy it when Boots featured it as one of their ‘Star Gift of the Week’ deals in the run up for Christmas where I managed to a 50ml bottle for just £30 when it’s normally £52.50. 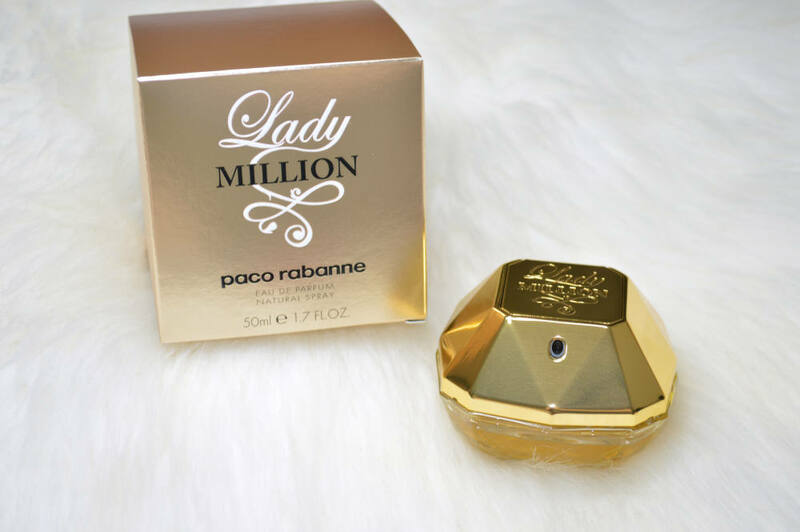 Paco Rabanne Lady Million Eau de Parfum is one of the most popular, best selling fragrances launched in recent years and there’s a male version of the scent called One Million which was released prior to Lady Million and is said to be inspired by gold. The Paco Rabane Lady Million Eau de Parfum bottle is so unique, and is shaped like a gold diamond with a clear glass base and a gold metal top with a button that spritzes when pressing down; similar to the bottle of Paco Rabane Ultraviolet. 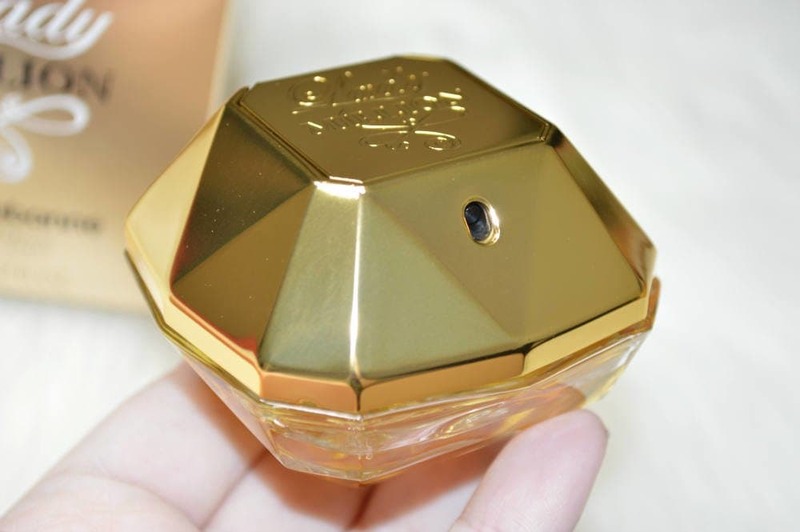 The male One Million bottle is shaped like a gold bar, and I like how well they compliment eachother both in design and in scent and I love it when Rob wears One Million when I’m wearing Lady Million as they just go so well together. Notes wise, Paco Rabanne Lady Million Eau de Parfum has top notes of neroli, bitter orange and raspberry, an heart of orange flowers and jasmine and a base of patchouli, amber and honey. In all honesty, the notes don’t sound at all appealing but don’t let them put you off as it really is a lovely scent. I’d describe Lady Million as being suitable for all ages as it’s such an easy to wear fragrance; it’s a sweet fruity scent with a little warmth, and it’s quite soft in that it doesn’t boast an heavy sillage. I like using the Paco Rabanne Lady Million Eau de Parfum as a day fragrance as it’s not particularly strong, and it’s the perfume I tend to reach for when I can’t decide which to wear. I think Lady Million is very likeable and it lasts considerably well on my skin too, as I can still smell it on my skin upto six hours later and it clings onto my hair or clothing for longer. I would recommend giving this a try next time you’re passing a fragrance counter if you like sweet fruity scents like the Juicy Couture fragrances, as they’re pretty similar to Lady Million.